Ever since returning from Africa I have been loving gin and tonics. The sundowner drink of choice (read more about sundowner cocktails in my next Calgary Herald column on Nov. 10), I became quite accustomed to my daily G&T whilst watching the sun set over Tanzania. I didn’t always love them, however. 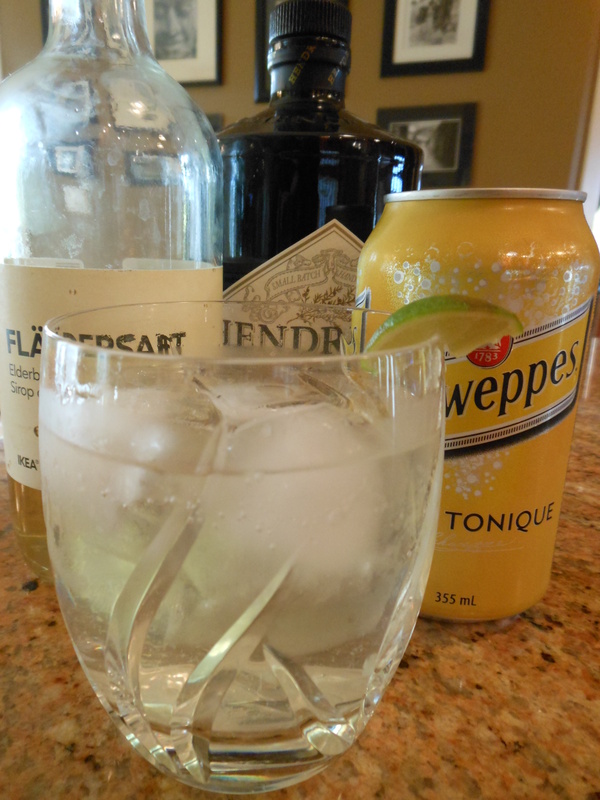 Both tonic and gin are an acquired taste, I find, so adding a little something to soften the duo can help. A lot. Enter elderflower cordial to make an Elderflower G&T. The elderflower cordial tones down the tonic and brings out the gin’s floral notes. My friend Liz Tompkins introduced me to this lovely libation last week. She was camping this past summer with gal-pal Laura Jackson, who supplied the ingredients, and they enjoyed this civilized twist on a classic. I think you will, too. Build the drink in a rocks glass, stir, then add enough ice to fill the glass and chill the drink. This entry was posted in Cocktails and tagged cocktails & drinks, Elderflower G&T recipe, gin and tonic, gin cocktail recipes, gin cocktails, Hendrick's gin. Bookmark the permalink.